This collection of Civil War letters by Franklin S. Twitchell was purchased by an acquaintance of mine who asked me to transcribe them and preserve them on this blog for the benefit of historians and family history researchers. 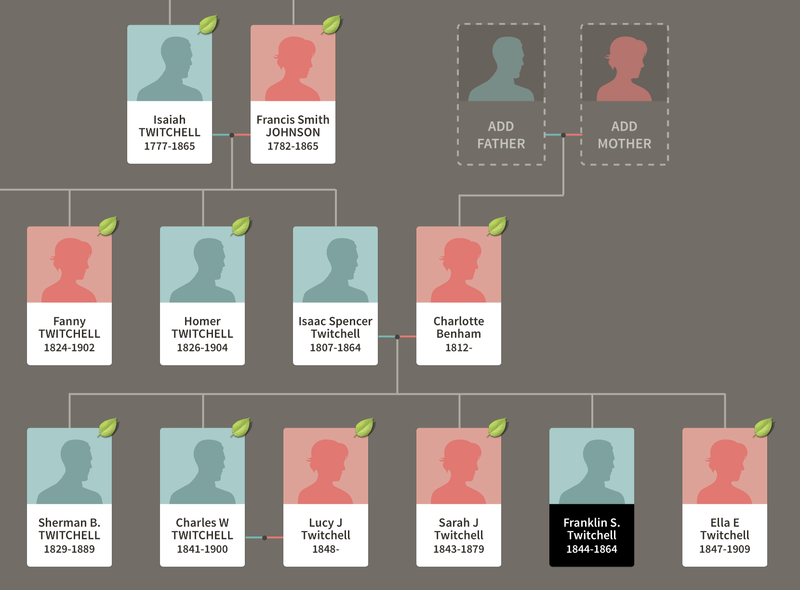 Franklin S. Twitchell enlisted as a corporal in Co. B, 13th Connecticut Infantry. They were mustered into the service between November 25, 1861 and 7 January 1862. “Following the Union disaster at Bull Run in July 1861 additional regiments were raised throughout the north to continue the struggle. Among these was Connecticut’s Thirteenth Volunteer Infantry Regiment. Though organized in New Haven, the unit boasted recruits from many parts of the state when it sailed for the Gulf Coast in March 1862. Pressed into occupation duty in New Orleans, the men of the unit quickly found themselves in the middle of a war of words between pro-Southern and pro-Union factions in the city. During these first months in Louisiana a considerable number of recruits took ill and were discharged. New recruits, many of them German immigrants living in New Orleans, replenished the unit’s strength. Ultimately the Thirteenth operated primarily in the Lower Mississippi Valley, its most notable actions the bloody Union assaults and subsequent siege of Port Hudson, Louisiana, from May to July 1863. The regiment then participated in the Union’s abortive Red River campaign in early 1864. 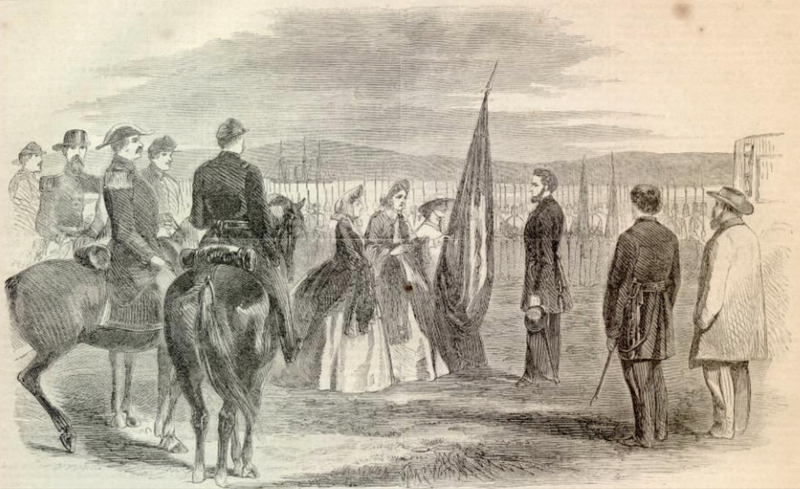 Following a brief veteran’s furlough back home in the summer of 1864 the regiment was ordered to join General Sheridan’s forces in the Shenandoah Valley of Virginia. The Thirteenth last saw heavy action at Opequan and Winchester, Virginia, in September. The three-year enlistment period for most of the men ended in December, the remaining troops being sent to Savannah, Georgia and, later, Newbern, North Carolina, at the war’s end. There are thirteen letters in this virtual archive that were written between 30 October 1860 and 8 August 1863. 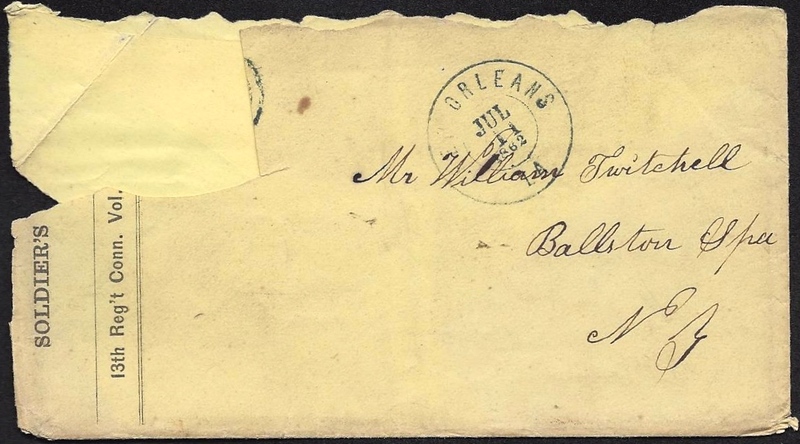 The letters written on 3 December 1862 and 19 April 1863 are housed at the Louisiana State Library, in Baton Rouge. The others are privately owned. There are likely more letters elsewhere but I have not yet found them.